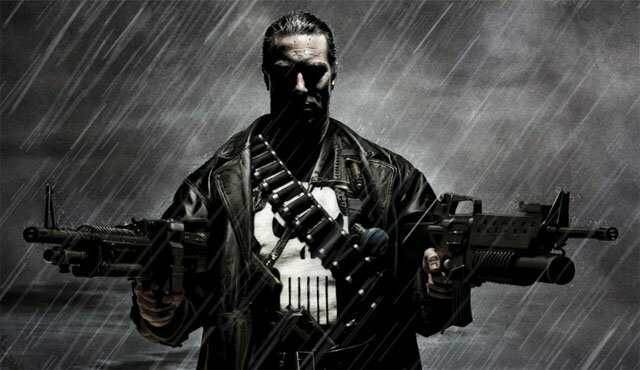 Finn Cooley is a villain of the Marvel anti-hero the Punisher. Cooley appears in Daredevil Season 2 and is played by actor Tony Curran. Punisher Villain bios are typically pretty short. They run into the Punisher and that is that. Cooley does have some history though. That is what happens when you have stories told through the eyes of a lethal anti-hero. Finn Cooley is a former IRA soldier / terrorist. For 7 years he ran a unit of IRA soldiers in Derry. While setting up a bomb at a Belfast police station he makes a mistake and the bomb goes off early. The explosion badly burns Finn's face making so that he must wear a plastic mask to keep his face together. After the blast he is caught and put in jail for 5 years. He is released as part of a Good Friday agreement between the British Government and the IRA. After being released Finn sets off for the United States. In the USA Finn meets up with another Punisher adversary an arms dealer named Nesbitt. He maintains an arms length business relationship with Nesbitt and exchanges guns and drugs. Finn attempts to gain Nesbitt's fortune after the criminal passes away. He sets a bomb to kill off those who would inherit Nesbitt's wealth. The bomb puts Cooley directly in the sights of the Punisher. He is killed by a bomb.that goes off too early. Highly trained military skills and terrorist. Finn Cooley appears in Daredevil Season 2 where he tortures the Punisher. The Punisher learns that Cooley was part of the deal at the park where his family had been killed. He frees himself from his bonds after being heavily tortured by Cooley. He shoots Cooley twice in the back and demands to know more about his family's death. Punisher: "Now I can ask you face to face, whose the guy who did it? Who killed my family?" Cooley: "Your family? Who cares?" Cooley is seemingly killed by a gunshot to the face by the Punisher.